Studio apartment of 21 square meters. with bathroom with shower, fully equipped kitchenette with electric stove, fridge, kettle, utensils. double bed or two single beds. Cute, comfortable, cozy and just steps from the most important places in the city, Santissima Annunziata, San Marco, the Duomo, Santa Croce. The studio communicates with a door with security lock, with the main house inhabited by a family of two adults and two children aged 4 and 10 years. 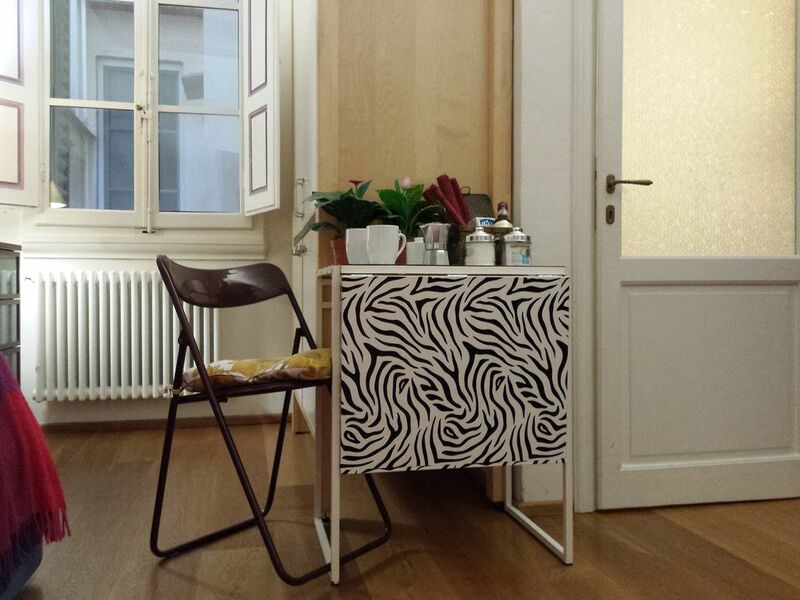 The studio is located near the food market of Sant'Ambrogio, renowned culinary destination of the Florentine; area full of good restaurants, shops and wine bars. We are in ZTL (restricted traffic area). My son stayed here in June 2018 while he was taking Italian lessons. He said the owners are outstanding (they are always available to help you with anything) and the place is very, very nice & clean! It is in the center of Florence and you can walk everywhere! When he goes back, he wants to stay here again. Thank you Mariaclaudia for a fabulous experience! As described this is a small, cozy studio apartment. It served as a great base to explore Florence, very easy walking distance to all the sights but it was in a quieter area. The apartment was clean, nicely decorated with a modern kitchenette and bathroom. Mariaclaudia communicated very well, was accommodating on check-in time, gave great advice on the local area and made our arrival nice having water and a bottle of wine waiting for us. It was interesting to stay in an old building with neat doors, gates and staircase. Delightful studio in central Florence. I stayed for 10 days in a very cold January and was delighted with the studio. It was warm and cosy and had everything I needed, just 5 minutes from the Duomo and a lovely owner who lives next door and speaks wonderful English. Great to have wifi and I will certainly hope to return. Such a fabulous city. The apartment is located in the historic center, a few steps from the Accademia museum, Santissima Annunziata, Santa Croce and the Duomo. Nearby is the food market of Sant'Ambrogio, culinary goal latest fashion, an area full of good restaurants and cafes. bus stop in front of (n ° 6, 14, 23, 31 and 32). Short distance from the Santa Maria Novella railway station.